In most eyecare practices when any employee quits it can put things into a shuffle. But what makes it even harder is when your office manager of 10+ years decides to ditch your practice. In so many independent offices, ODs rely on their office manager to maintain the daily business roles that keep your office turning and allow you to focus solely on patient care. It's no wonder that when your office manager up and quits it can leave you stressed and worried about how you'll be able to juggle it all. 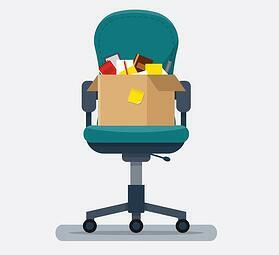 When one employee quits, it often leaves the door open for new opportunities and responsibilities for other employees in your practice. Is there someone in your office that you think would be a good fit to fill the shoes of office manager? Chat with the rest of your staff about their career aspirations and empower them to take on new tasks that your office manager maybe left open. Empowering your team to take on these new challenges will let them know that they have your support to grow in their roles within your practice. A silver lining to the loss of your office manager is that it allows you to reset the way you run the business side and front-of-house in your practice. If you've been swamped with a busy patient schedule, it's likely that you haven't had much time to evaluate and understand some of the front office procedures. This is the perfect time to dig in, learn, understand, and make any changes in the way things are done before you bring in someone new, or shuffle around the employees you have. If the employee gives you enough heads up on their departure, make sure you take the time to sit down with them and have them document all of their processes for things you and the rest of the team might not be up to speed on. As we just mentioned, this is a good time to reset and learn about the business side of your practice. Before you jump on hiring the next available candidate, check and see if there are business solutions out there that can help you automate certain tasks or allow you to avoid the high costs of payroll. For example, the right practice management and EHR solution could help you automate things like online patient scheduling, patient recall, and appointment reminders - things that your office manager may have been doing manually. What about claim filing? If this was a task on your office manager's plate, it could be worth looking into outsourcing your claim management to a service that will handle all of your submissions, denials, and rejections so you don't have to rely on training a new employee to learn the complex ropes of vision and medical insurance. Before you rush into filling the vacant job, consider all your options for filling in the gaps in tasks and responsibilities. Did you just lose your office manager or biller? See how a revenue cycle management service can help.